My hobby is dead people's music. OK, maybe not all of them are dead. Some just have moved into nursing homes or senior apartments. And, to be fair, some of the music I fixate upon probably was their kids', left decades ago at Mom and Dad's place. But what we're talking about today definitely was Mom and Dad's music . . . which, alas, they couldn't take with them. Wherever. 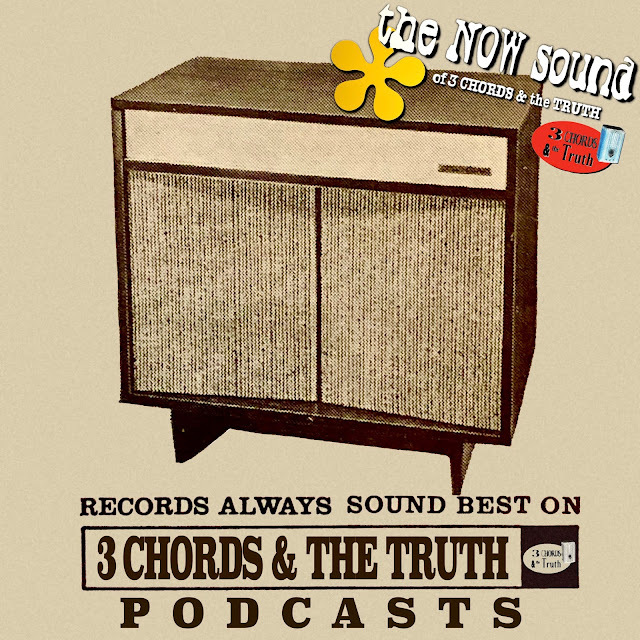 A fair amount of what you hear on 3 Chords & the Truth falls into that category -- especially on this episode. After all, when there's only two kinds of music in the world -- good and bad, and the bad, you don't mess with -- you tend to mix and match. BUT GRANDPA'S LOSS is your gain on the Big Show. My parents' generation, as it turns out, had much better taste than I gave it credit for four decades ago. Once again, the old folks' have the last laugh, even if it might be from the Great Beyond. I've been grabbing music -- much of it long out of print -- at estate sales for a long time now. At first, the main attraction of the "grown-up music" from back when I wasn't yet one was one of sheer irony. It was a hoot. Turning the tables on oneself, and one's misspent youth, for kicks and giggles. Thus, when I find "my" music at estate sales, good luck finding good rock LPs and 45s that haven't been beat to hell. So you grab Mom and Dad's stuff that hasn't. AND THE funny thing is, well, it's not bad. Actually, it's damned good. The "elevator music" of one's youth, it seems, has been sullied by both your youthful prejudice and its (shall we say) leaden presentation on the radio back in the day. Let's just say some of those easy-listening FM stations may have developed rigor mortis decades before their listeners did. That was a damn shame. So here we go on this edition of the Big Show, which once again sees us in something of a mood. We're mixing and matching and re-contextualizing that at which we scoffed, snot-nosed punks that we used to be. Now sit back, tune in, turn on and open your musical mind. And if you can't manage to do that . . . get the hell off my lawn.